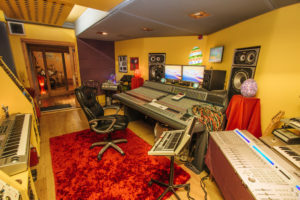 “Prism Studios with Shaun Lowe at the helm, ranks alongside Abbey Road, Capital Studios (Los Angeles) and Gus Dudgeon’s The Mill in terms of quality, atmosphere and technical brilliance … Can’t be beaten for the price. Love it!” Stuart Epps. 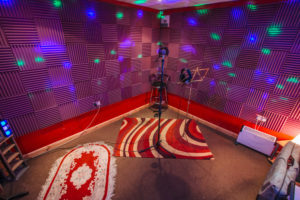 Prism Recording Studios in Staffordshire first opened its doors as a commercial recording studio in 1990 when owner Shaun Lowe set up a home studio in his bedroom, for songwriting purposes. 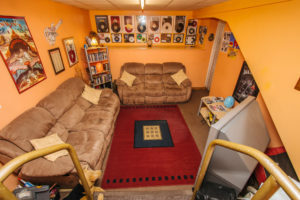 However, as he outgrew this space, and with the help of some business and financial support from the government’s Enterprise Allowance Scheme, he was soon able to move the studio to a larger premises comprising two small rooms located within a business start-up centre. Since then the studio has gone from strength to strength. It has moved four times, gradually getting bigger each time, and in 2008 took up residence in its current location in an old bomb shelter underneath what was once a British Telecom telephone exchange in the city centre of Hanley Stoke-on-Trent, Staffordshire. Shaun told us, “The studio has been built in a 3,000 sqft area and divided up into a number of different rooms: Studio One’s control room and the main recording areas were designed and built by Recording Architecture and all the rooms in the studio are extremely varied in ambience; we have an amazing sounding lively drum room, a really nice bright piano room and a completely dead vocal room. I love the way I can switch quickly from room to room and try different instruments in different spaces to pick the best place to record. 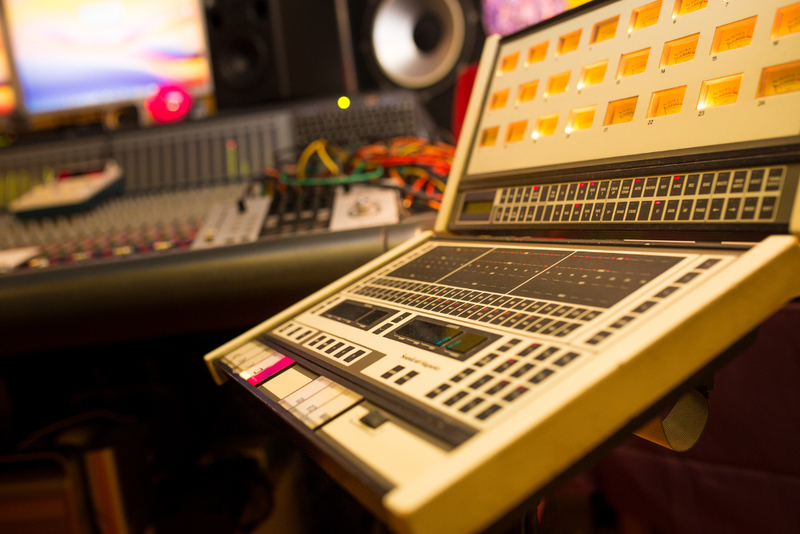 “The main console in Studio One is a DDA Profile 56 channel that has been fitted with API Uptown flying fader automation which also controls all channel mutes, all eight aux sends and inserts. This is a really great sounding board designed by David Dearden which, when combined with the rack of Neve mic amps gives plenty of choice and flexibility to our recording options.” See Prism’s website for full equipment list. Shaun continued, “We’ve always welcomed a wide variety of musical genres into the studios. 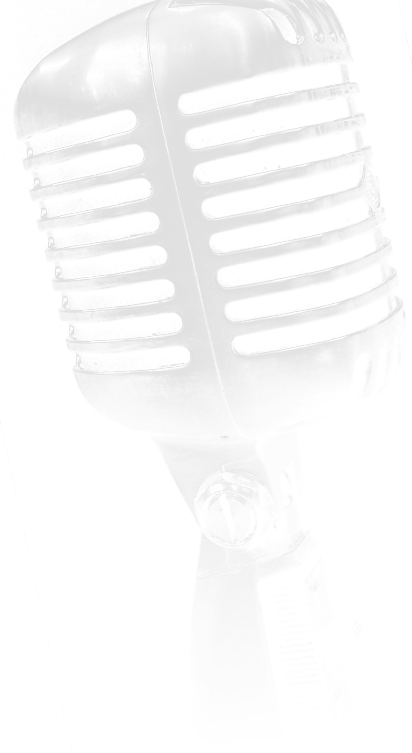 From Classical to Folk to Dance/ Pop/ R&B, right through to Rock, Metal, Ska and Punk. There’s nothing we won’t take on. This diversity is also reflected in the equipment I use. 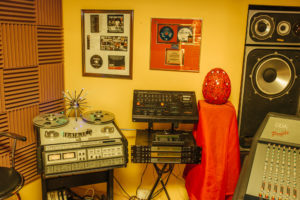 For example, we have the latest DAW’s to take care of the digital side of things but we can keep the option open for clients to go analogue via our 24 track 2”tape and half inch stereo 2 track tape should they choose. Thanks to films like ‘Sound City’ and with vinyl now making a comeback, working with tape has become very popular again. Prism also has a really comfortable lounge area with Sky TV, Xbox and DVDs. There is also a kitchen with microwave, fridge freezer and toaster; the bathroom has a shower, meaning that it is possible for people to stay over at no extra cost if project budgets cannot stretch to hotels. Although Prism is not officially a residential studio, Shaun told us that many clients have stayed there and found sleeping in the lounge area with sleeping bags or camp beds great fun. It is also possible for people to sleep in one or more of the other rooms if required. Notable clients served by Prism over the years include The Drifters, who have recorded 4 album projects here (all engineered and produced by Shaun for Atlantic Records and Sony Music with the last album reaching No.10 in the album charts) as well as Producer Stuart Epps; Broken Bones; Discharge; The Damned; Aisha (Stevie Wonder’s daughter); Lisa Marie Experience; The King’s Pistol; Marlo; Geof Whitely Project; Epilogue; Encircled; Grace; Chris de Burgh; Positiva; Silverback; The Rough Kutz; Skalinskis; Shallow; Spy Vs Spy; Future Adventures; The Queensbury Rules; Vaughan Bagnall (Silverback) and Rob Wild. Across the road from the studio is a new 25 million pound development including a huge shopping centre, many restaurants, a nine-screen cinema, and American Diner. The city center is only a two minute walk away with a wide selection of hotels, bed and breakfasts, theatres and nightclubs easily accessible. Manchester, Liverpool, Birmingham are all just an hour away. And Alton Towers theme park is close by as is Water World! Studio rates at Prism are kept at a very competitive level so clients can record in a more relaxed way. However, this does mean the studios are very busy; normally booked 2 to 3 months in advance. For bookings enquiries or for further information about Prism please click here.